SO far my driving lesson excursions have taken in the Porcupine Township, a fleet of London buses, Castlemaine Gaol, the Harcourt wineries and some spectacular views. 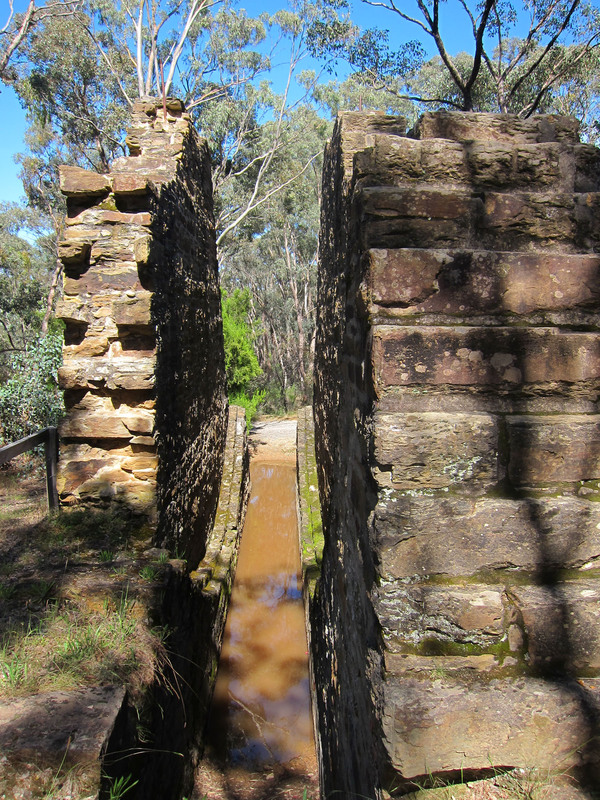 The remains of this 1887 wheel, in a backroad known as Forest Creek, wasn’t even signposted. How about that? They’ve just forgotten about it. In England we’d erect a statue and cordon it off. Keeper? I’d probably show off and take someone out here, yeah. Just a rather quick, somewhat silly question- your blog looks fantastic! How did you do that with WordPress? After fannying about in an ineffective manner for a few days, I decided to just get my mates at http://www.blaster-utd.com/ to pimp it up… and they could better explain how. Have you been to the red white and blue mine? big o’l poppet head hiding out in the scrub, similar to the Garfield wheel, which, if you look closely has my name scraped into the stone. “Emmo woz ere” or “Emmo sux cox”?